This sturdy hand bell is made from highly polished solid brass and has a New England hard wood handle. This bell makes a wonderful sound and is a great gift for teachers. 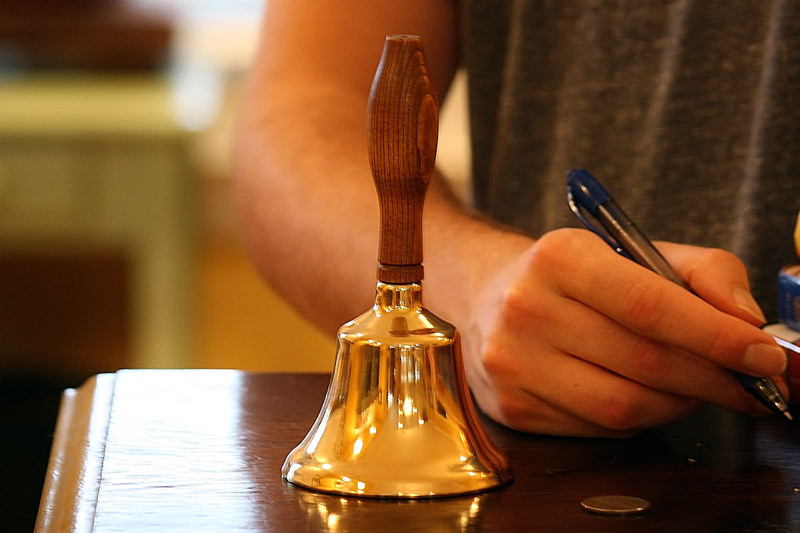 The timeless look of this hand bell is reminiscent of one room school houses and the teacher calling in kids from recess.